Burn more calories due to a better metabolism! Contains selected Superfruits such as Garcinia Cambogia. Lots of antioxidants and vitamins help you detoxify. 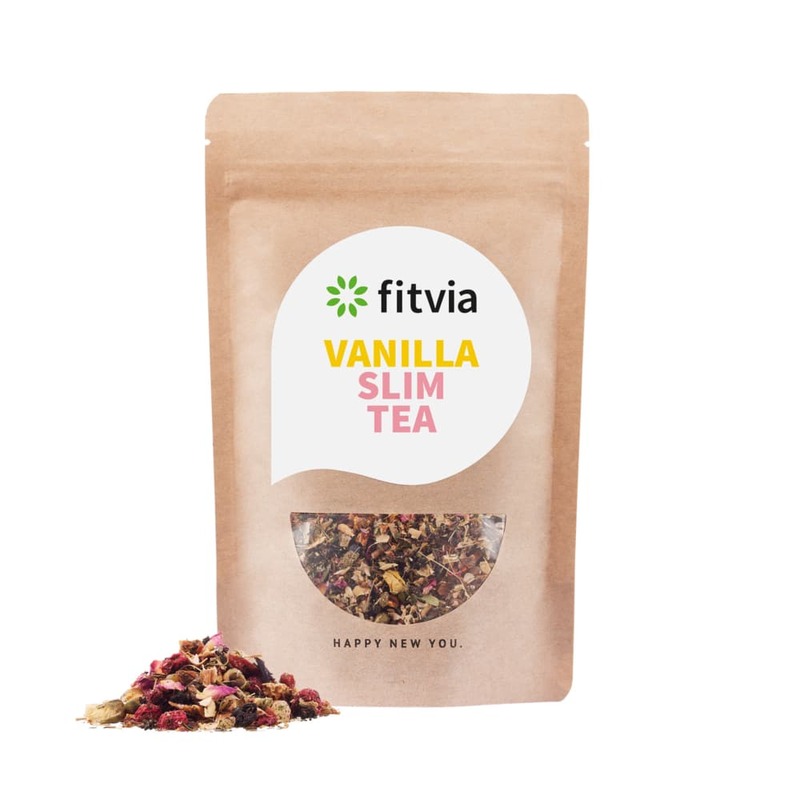 Reach your dream weight with our Vanilla Slim Tea! Its all-natural ingredients such as the tropical Garcinia Cambogia, nettle leaves and Green Rooibos, have stimulating effects to your body, taste delightful and support your body goals! Enjoy a cup of fresh Vanilla Slim Tea in the morning or during the day, to keep you hydrated. Rich taste of vanilla bites. As part of your weight loss journey. Nettle leaves to purify your body. Green Rooibos has a stimulating effect. Candied mango bits, green rooibos, half fermented tea, apple bits, bean peels, natural flavouring, candied ginger bits, nettle leaves, cinnamon, hibiscus blossoms, red currants, yellow rose buds, vanilla bits (1,5 %), stevia leaves, chili bits, rose blossom leaves.